The Miami Meow Mobile low cost spay and neuter van is coming to YOUR SOUTH FLORIDA NEIGHBORHOOD this October. $15 Spay/Neuter Surgeries for Targeted Areas Available Starting August 5th! 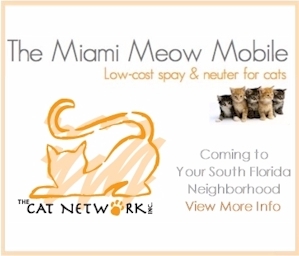 Thanks to grant money allocated by the ASPCA, we are happy to announce that starting August 5, 2013, $15 spay/neuter surgeries (CASH ONLY) will be available on the Miami Meow Mobile. The grant we received is for targeted areas, therefore, in order to use the $15 certificates the cats must be from these areas: Hialeah, Homestead, Little Havana. 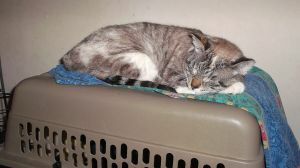 All cats will receive a mandatory stomach tattoo (a small green line to show the cat has been sterilized), a rabies vaccine (if old enough), and all cats receive a mandatory ear tip. No exceptions. The only acceptable form of payment is CASH. Please bring exact change.